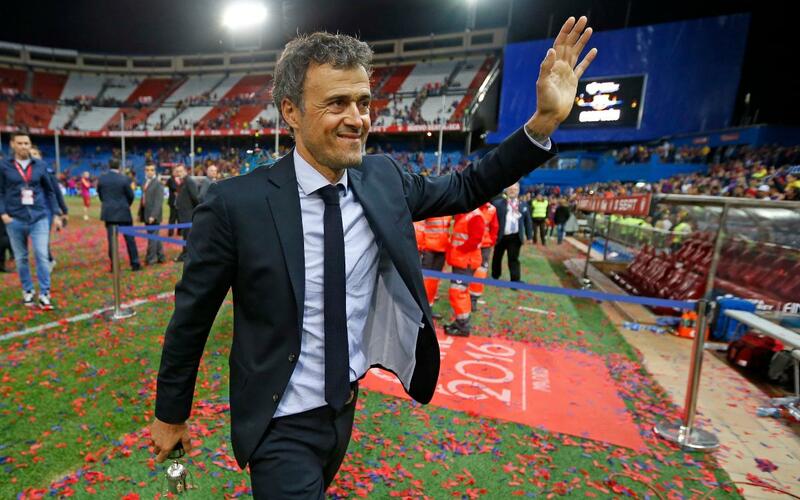 Luis Enrique will leave his position as manager of FC Barcelona, he announced during his press conference shortly after the team’s 6-1 win over Sporting Gijón on Wednesday. The Asturian explained his decision: “During the pre-season, I had a meeting Albert Soler and Robert Fernández and I informed them that there was a chance of not renewing. They, on behalf of the Club, reassured me that there was no pressure. That moment has now arrived and I announce it to you”. Thus, the Asturian will have completed three seasons with the club when the campaign ends, in which time he has won eight out of a possible ten titles, with three more still at stake. "We have three exciting months left,” he said. “Three months in all competitions. In one of them, of course, we are in a difficult situation, but, with everyone's help, I am sure we will have an opportunity to turn it around."